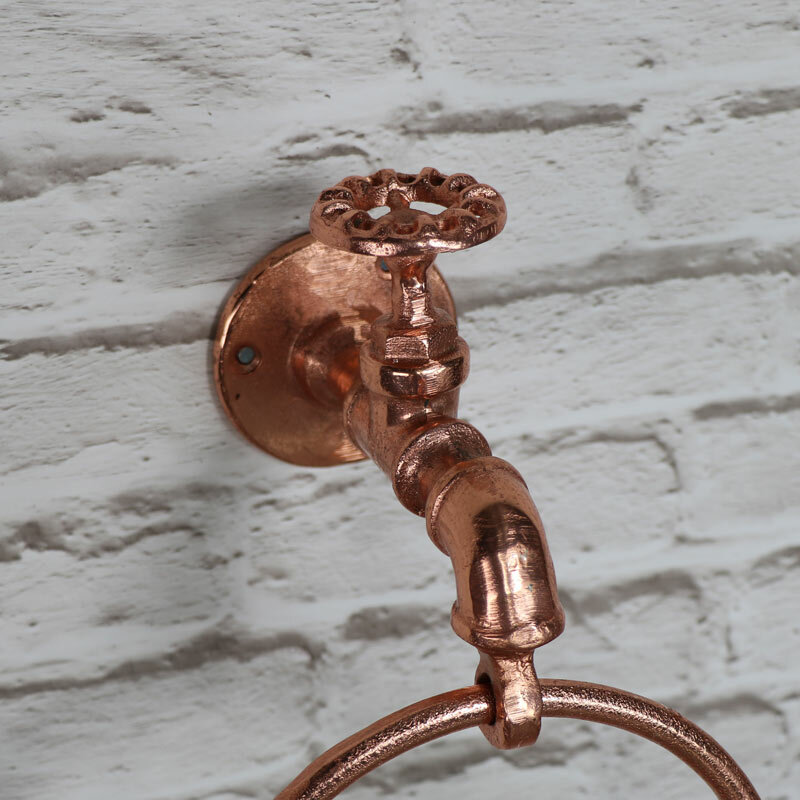 Accessorise your bathroom in copper. 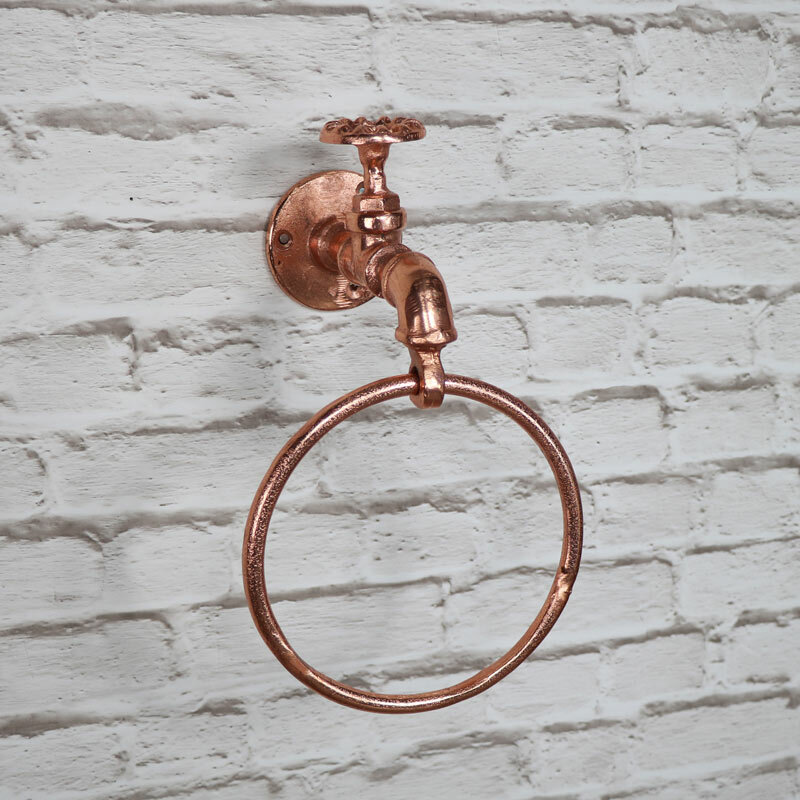 This towel holder is perfect for adding some colour in a fantastic retro look. 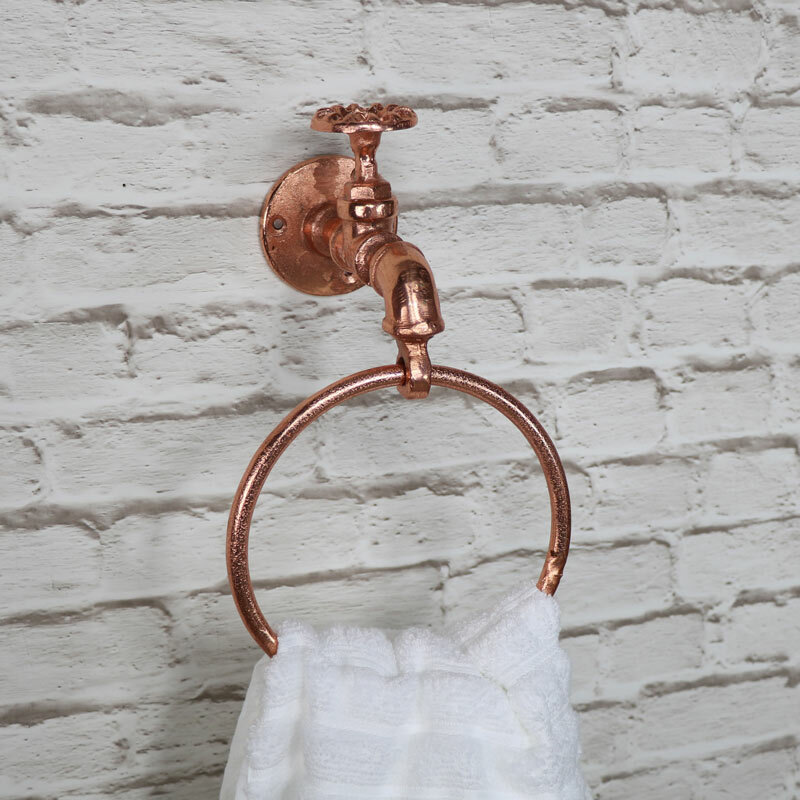 Great for adding some character with retro, industrial style, this towel holder comes in the shape of a tap with a large ring to hold your towels and flannels. Not just for the bathroom, this would also look great in the kitchen or laundry room. The large ring will easily hold bath towels and tea towels.